We have many new & used office desks to choose from, we know money can be tight, find the perfect budget desk now. With the largest selection of matching used chairs in Orlando, you can’t go wrong. We have high back, low back, mobile, adjustable, tilt, arm rest, padded or mesh, task or executive, we’ve got it all! Maximize space and productivity with office cubicles! 3D Office planning and layouts! Plenty of office conference tables to choose from. Round, square, boat shape, mahogany, cherry or oak in color, come check us out. Lateral or vertical, legal or letter, we have many file cabinets to choose from, don’t spend too much, find the right pre-owned office file cabinet now! Complete used office suites, desk, credenza, hutch, file cabinet and chair. We have complete packages and prices to fit the small business needs. 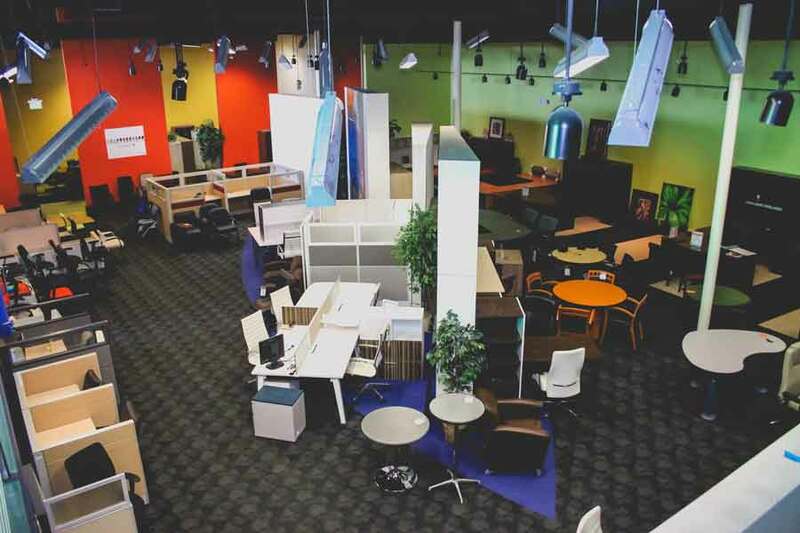 We’ve been servicing the Orlando area for over 15 years helping our clients find the perfect solution for their office furniture needs. We can fill your office space with quality furniture or cubicles to fit any budget. We make sure to have the best deals so you don’t have to! Looking for a comfortable, ergonomic, cool looking, mesh task chairs? Well it sounds like the Herman Miller Aeron chair is the task chair for you. Find the largest quantities of matching Aeron chairs in Orlando at Office Liquidation!